As far as I can remember, I was born with a fishing rod in my hand. 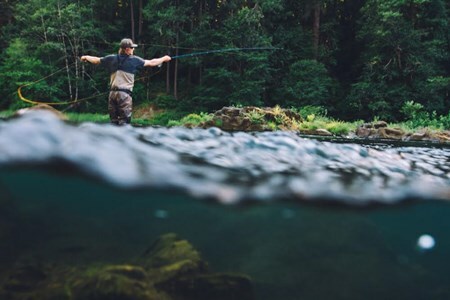 Having grown up on the Rogue River in Southern Oregon, I got my start fly fishing at the young age of 7 under the ... moretutelage of my father. I can remember family photos of me with trout that were actually bigger than me, if that gives you any idea of how little I was when I first started catching fish. 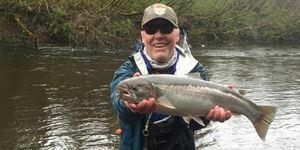 I caught my first steelhead not long after I started fly fishing and it was all over from there…the fishing addiction had its ugly hooks set securely into me! I consider myself a pretty experienced oarsman having rowed the Upper and Lower Deschutes River, almost the entire length of the Rogue River including the Wild and Scenic section, the Colorado, the Arkansas, the North & South Umpqua, the North & South Santiam, the Sandy, the John Day, the McKenzie, the Upper Willamette, the Task, and the Wilson, amongst others. I pride myself on safety and I’m a certified EMT, so you can rest assured you are in good hands when you are with me on the river. When I’m not guiding Central Oregon fly fishing trips, you will find me going ever-further in search of backcountry powder, sailing my Hobie Cat, Surfing the Oregon Coast, or working at St. Charles Medical Center as an Emergency Technician. I spent 5 years in Nicaragua where I owned a surf resort, before returning to the USA, and I’m fluent in Spanish as such. I consider myself to be an avid outdoorsman, and I enjoy sailing, camping, hiking, mountain biking, and spending time doing all of it with my wife, Theresa, our baby girl, Rogue and our two Labrador Retrievers, McKenzie & Charlie. 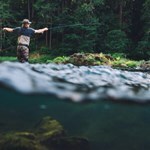 Vail grew up fly fishing in Western Washington, where he could often be found packing his old school float tube up to some desolate alpine lake, or bumming rides over the east side ... moreof the mountains to fly fish the Yakima River. Vail moved to California after college and spent a half dozen years skiing, climbing, and fishing through out the Sierra Mountains. He coached skiing at Squaw Valley, and guided people rock climbing and fly fishing in Tahoe and Yosemite. 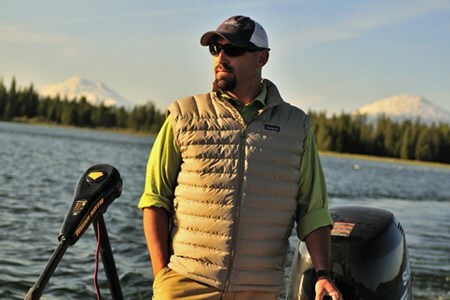 Vail moved to Bend in 2002 and has since been fishing and guiding the Deschutes River and surrounding areas. Some of Vail’s best attributes as a guide are his patience, and his ability to instruct, along with possessing a certain “fishy” sense that puts his clients onto fish. Vail is a conscience and courteous guide, who is attentive to detail, safety oriented and hardworking. You can rest assured that he will do everything in his power to make sure that you have a memorable and successful experience! Brad was born and raised in Central Oregon. His parents are both avid fishers, and helped foster the same in Brad. It is pretty obvious that Central Oregon, and Oregon for that matter ... moreare Brad's home waters. 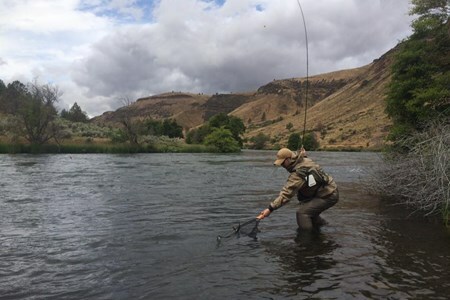 He is very intimate with many of the fisheries here, including the Lower Deschutes and Crooked River. 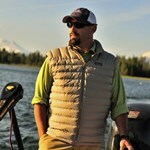 Brad also has spent some time guiding in Alaska. He is a very talented fellow, who runs his own rod making and repair business as well as being a guide. He spends his winters on the coast guiding salmon and steelhead and his summers in Central Oregon. Brad has won the praise of many of our clients for his class act on the river, patience and professionalism, and his ability to provide epic days for his clients! Jim is our resident Upper Rogue River expert. Living in Jacksonsville, Oregon wether if he is guiding or not Jim can be found most days on his favorite section of the Rogue, the upper ... moresection in and around Shady Cove. Jim has an intimate knowledge of this section of the Rogue, at one point owning a house on one of the premiere holes on the river. Jim personifies the gentleman guide, you will not find a more gracious, humble, yet knowledgable guide on the river. 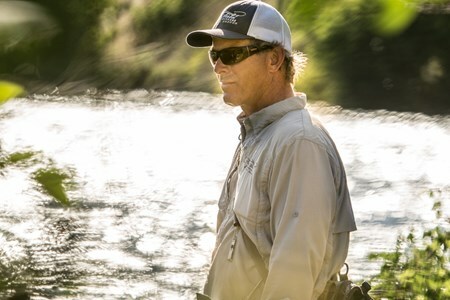 Jim willing shares his love of the river, sport, and intimate knowledge of this section of the Rogue with clients and fellow anglers alike! Any day spent with Jim on the river is a memorable, pleasurable experience! Ryan is our camp host extraordinaire. He is in charge of transporting and setting up the camp and gear. His attention to detail will ensure that your off river experience will be as ... morememorable as your on river experience and your gear will safely make it from put in to take out. His skill as a pro “bagger” means you can rest assured that your time will be spent fishing and relaxing, with no worries. Ryan has lived in Bend, Oregon since he was young. 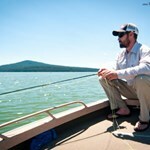 He started fishing with his father on the Deschutes and the high lakes of the Cascades as a child. 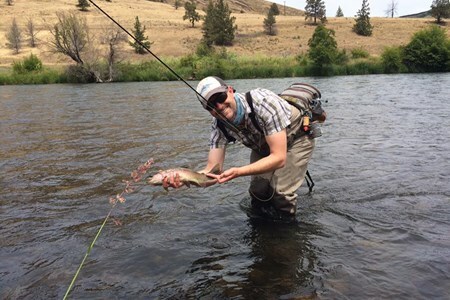 He quickly grew to love and appreciate the outdoor opportunities the Central Oregon has to offer and ultimately decided to make recreation his career. Ryan has been an avid boats-man for 18 years and enjoys all types of river transport, including rafting, drift boating, kayaking, and even scuba diving. 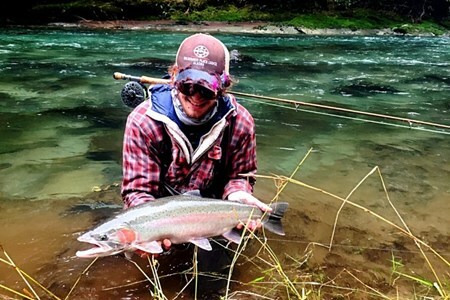 He took up fly fishing at age 20 and is now thoroughly “hooked” on the hunt for Deschutes "Red Sides" and steelhead. I’m not sure if I had a choice in the matter but one thing is for sure; this love affair with fishing is in my blood! Growing up in Southern California with five siblings, the motor ... morehome was always loaded and ready for the next fly fishing adventure! Most of my earliest memories are of camping and fishing with my family. Whether it was firing up the bass boat and flying across one of Southern California’s reservoirs chasing large-mouth or backpacking into Northern California backcountry, the fishing tackle was always packed and seemed to be the priority. This sport of fly fishing has consumed generations of my entire family! At what age I caught my first fish is a mystery, but growing up in this family I’m sure it was around the time I was learning to take my first steps. I do recall an epic day on the South Fork of the Snake during hopper season throwing dries to cutties at about the age of 8! I was taught to tie flies by my great uncle Barney that next winter and got my first fly rod for Christmas shortly thereafter. Traveling the west I fished more famous trout water before the age of 13 than I have since. Looking back I guess I did have a choice… Playing board games and reading books in camp with my Mom and sisters, or on the water with my Dad and brothers. What would you do…? 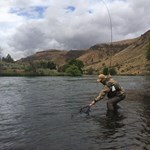 My first experience fly fishing the Central Oregon waters was in the mid 80s vacationing and fishing on the Deschutes River and Metolious River. My family moved from Southern California to Bend in the late 80s. I was 14 and my love for the outdoors grew. As soon as I turned 16, I had some freedom and was out fishing a couple times a week. Fly fishing started feeling more like an addiction than a passion. I began my career in the fly fishing industry during the summer of 1998 and quickly realized this was the life I would lead. Rivers had always been my focus but, due to a big fish obsession, the local lake fisheries sparked my interest. I’ve always had a thing for “two handed trout.” Crane Prairie Reservoir is still considered my home water. Over the past 20 years of guiding and fishing the Central Oregon area I have learned a lot and I truly enjoy sharing this passion and knowledge both on the water and in the shop. My family and I purchased Fly and Field Outfitters in Bend, Oregon January of 2004. In this purchase we had one major advantage… we had toured fly fishing shops across the west over the past 30 years. Somehow mixed with fishing reports and local tactics we had recognized the most important aspect of a quality shop, customer service. That is what we built our dream fly shop on. My Adventures with a fly rod have taken me to some unforgettable locations; from pristine trout streams in Chile and Alaska, to the crystal clear flats of Belize and Mexico. The greatest lesson that this sport has taught me is that it is all about the adventure. Whether it’s a Redside on the Deschutes or a Permit in Belize, the fish becomes secondary. The adventure becomes the obsession! 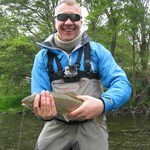 “Trout don’t live in ugly places.” Fly fishing as a lifestyle forces the angler to LIVE THE EXPERIENCE. We have all heard people say “It’s in your blood.” That choice in life was made for me. Don’t get me wrong I wouldn’t change it for the world! HeadMy passion for fishing began early. As a boy I fished the shores of San Francisco Bay every chance I had. We fished for food. It would be years before I discovered fishing purely ... morefor fun. In my late-teens I ventured to one of the lake on Mt Tamalpais with my ugly stick and box of lures. It was there I was properly exposed for the first time to the poetic beauty of fly fishing. Not to mention witnessing how effective it can be! I was solidly out fished by guys not fifty yards away. For hours. Within a week I’d purchased a just-add-water Cortland 6wt, a handful of flies and was on my way. Being a guide here at Fly and Field Outfitters and I can’t express how happy I am to be able to call this my job! I love to teach fly fishing, from casting techniques to line control ... moreon the water, to learning about the insect life that inhabit each river. I am very patient and relaxed while I’m on the river. 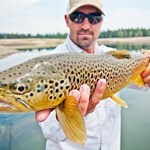 I look at fly fishing as a fun way to explore the outdoors, as well as improve your skills and knowledge of fly fishing. It is a never ending learning experience that is always changing and evolving. I worked in the culinary industry for 7 years, so when it comes to river side meals I like to impress. I’m happy to cater to GF, Vegan and allergy sensitive situations. My favorite thing about Fly and Field Outfitters, is they set high standards on and off the water. 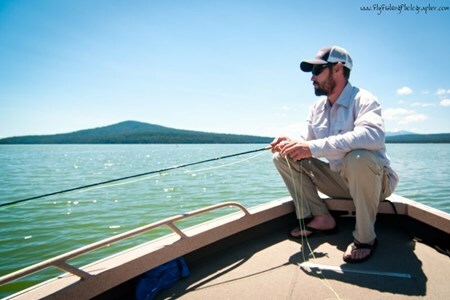 They also bring a family feel to the fly fishing community in Central Oregon. Fly and Field has always been my favorite fly shop to frequent because I am always greeted with a friendly smile and helping hand. Please stop by the shop and talk with our guys, they’ll get you all lined up to go out either by yourself or on a guided trip with myself or one of our other great guides! Fishing has been a part of my life going back as far as I can remember. At first it was something that was simply one of my favorite past times and something that I had a very keen ... moreinterest for. Somewhere around the age of ten I picked up my first fly rod, a 6’ 3wt, and I began fishing for small mouth bass and trout. This was the exact moment that my life changed, what used to be just a fun time hanging with dad quickly turned into an obsession. Any free time that I had was spent on the water and I fished that 3wt until the cork fell off. 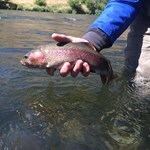 I have been blessed with the opportunity to grow up in Oregon where the diversity for fly fishing is astounding. As a kid my favorite places to fish were always in Central Oregon, the trout fishing was something that was unmatched in my experiences. As I got older my focus turned to the coastal waters in pursuit of salmon and steelhead. Growing up in Monmouth I was lucky enough to be very near to some of the best coastal waters that Oregon has to offer. At the age of 18 I started my guiding career at a remote, fly in lodge in South Central Alaska. 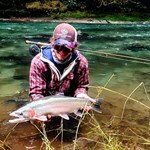 I guided for all five species of Pacific Salmon and Native Alaskan Rainbow Trout. This is where I learned the ins and outs of what it takes to be a guide and where I found the passion for helping others catch the fish that I love so much. This will be my first year guiding for Fly and Field Outfitters and I couldn’t ask for a better outfit to work with. The professionalism and positive demeanor that radiates from every staff member I have met is truly something that is unmatched. I also can’t ask for a better area to have the opportunity to guide. The waters of Central Oregon have always held a special place in my heart. Whether it’s fishing in a tangled mess of logs on the upper Deschutes or stripping streamers for Bull Trout surrounded by towering canyon walls on Lake Billy Chinook, I have always felt that Central Oregon is where I was meant to be. I am so excited to start the next adventure with Fly and Field and with you the people that make my dream job a reality. I am so lucky to have grown up in the Sierra Nevada Mountains just minutes from Lake Tahoe. My pops is a diehard fisherman so I was on the water long before I was actually fishing. ... moreFly fishing however came much later in my life. I went through all of the phases of a conventional fisherman from tossing night crawlers to hand carving ten-inch stick baits. It started out as just catching fish then to seeing how many I could catch and of course trophy fishing. At this point it wasn’t only about lures and speed. I studied bathymetric models of local lakes, dialed in wind models and really studied the science behind my target species. I was in college for a couple years and had always wanted to do my own part for 9/11 and the war with the Middle East. I opted to join the Army where I served just over 4 years with a tour in Iraq and a separate tour in Afghanistan each a year long. After my last tour, my time was up and I longed for the remote destinations where I had once found spectacular golden trout and other rare species. For me, it was an evolution where I had wanted to challenge myself to the next level. This is when I discovered fly fishing. I spent the next couple of years chasing trout and other species anywhere I thought might have a remote chance of being fishy. 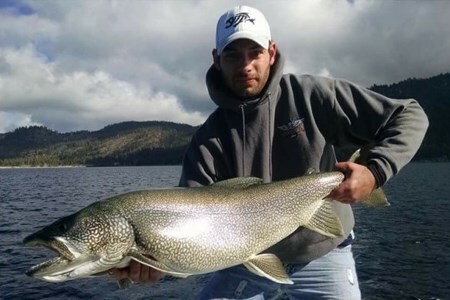 My guiding began on Lake Tahoe dredging the bottom with bait and big lures, hunting giant Lake Trout. But I always wished I was fly fishing. I ended up working with a few great guys on the Truckee River and the now famous and infamous Pyramid Lake in Nevada. After moving to Bend I met the boys at Fly and Field and they took me in just like family. I couldn’t be happier and I can’t wait to share my knowledge and stories with you on the shop and also on the water. Myself and everyone here at FFO will make sure you have the best experience in Central Oregon. 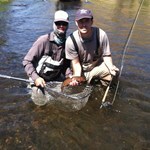 Looking for the best guided fly fishing trips in River West, Bend, Oregon? 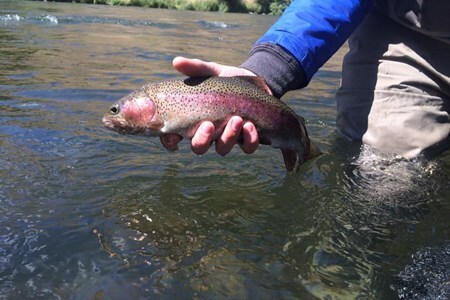 Choose from the top River West, Bend, Oregon fishing guides. 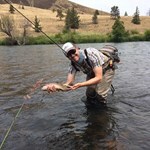 Read reviews, compare prices and check availability for fly fishing guides in River West, Bend, Oregon. 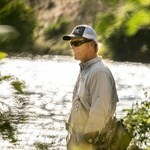 Yobi Adventures has everything you need to plan a River West, Bend, Oregon fly fishing vacation. 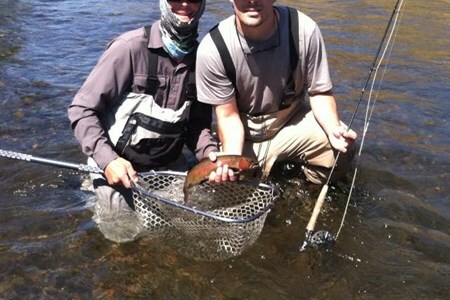 Find the right fishing guide for your River West, Bend, Oregon fly fishing trip. With hundreds of fishing guides to choose from, Yobi helps you plan the perfect fly fishing adventure. 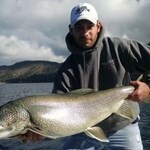 Browse the top fishing guides in River West, Bend, Oregon and book a trip online.